We spent weeks hemming and hawing on whether to visit the Galapagos Islands. Just to get there and back would cost $400 each plus another $100 each to enter the islands. Then, the cost to take a cruise around the islands for 5 days was $1300 a piece. We just couldn’t stomach the $4000 price tag. Even doing day tours instead of a cruise, was still way over our acceptable range. After all, this 5 day cost could fund 2 months of travel in other countries. 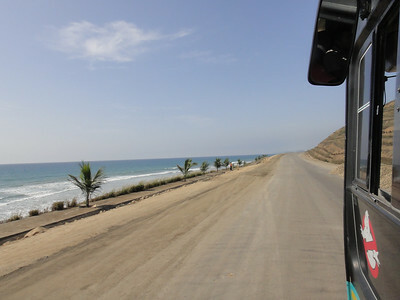 So instead, for $4, we hopped on a bus and traveled about 3 hours north up the Ruta del Sol to Puerto Lopez, Ecuador. Puerto Lopez is a small fishing village popular for it’s easy access to the “poor man’s Galapagos”. Yep, that’s us! Yesterday morning, we woke up early to jump on a boat to Isla de la Plata to see some of the animals that also inhabit the Galapagos. 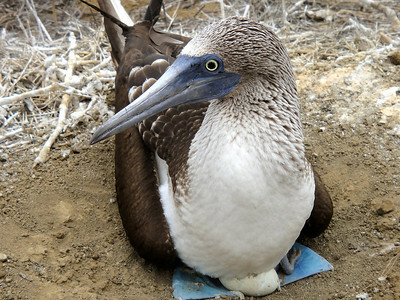 One such animal is the boobie, blue footed boobie that is. 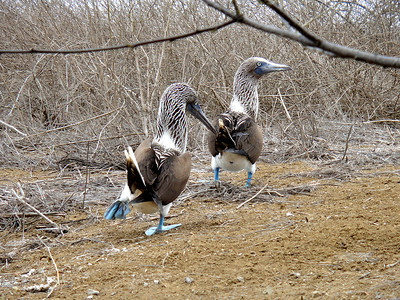 We knew we’d see some here, and we thought they’d be interesting with their bright blue feet. We had no idea how many there would be….and with babies! They are really cute in their nests with their babies. So interesting with the white circle around each of the nests, too. Oh, wait…no…. that’s poop. Didn’t really notice the white circle until I witnessed one stand up and spray poop to make his or her circle complete. Awwww! There were a ton of boobies everywhere. They make their nests on or near the path. You have to try very hard not to bother them. Sometimes we had to climb over a fence or up a hill to go around them. Walk on the trail yourself…. We also saw other boobies. One was red footed and the other I don’t remember the name. The tour was in Spanish. Most of the tour was boobies. Also, the landscape was really interesting with many awesome views. After the hike, we jumped back in the boat and floated around. 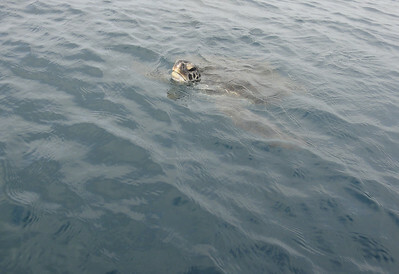 Eventually, about 5 giant sea turtles greeted us! They like to eat lettuce. Who would have of known? Sorry for all the pics and videos…but too bad because they are so cute! So, as if that wasn’t enough, we went snorkeling after this. 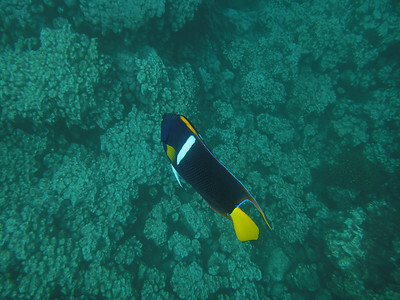 This was Dusty’s first successful snorkeling adventure, after we failed miserably in Costa Rica. I knew this Squirrel would love to snorkel. During the trip we overheard some other gringos complaining about the cost and their experience. I know that in the past I have expected a lush rainforest on every island that I visit. It was set in my brain that every island should look like what I’ve seen in pictures of Hawaii. No poor people, no garbage….just paradise. I had no expectations for this island because I knew it was a substitute for the real thing. It wasn’t lush tropical rainforest yet, because its still the dry season. Instead, it was a barren dessert. This could have been a big disappointment had I had my usual expectations. However, this trip was different. It was a dry forest with strange blue footed boobies in the trail and that was the cool part. I’m no longer looking for paradise, just collecting new experiences. The entire trip cost $45 each. 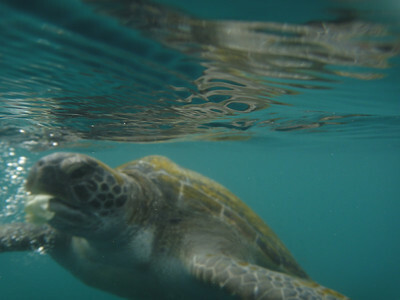 That included the 3 hours of boat travel, breakfast, lunch, entrance to the National Park, a guide for the 6km hike around the island, sea turtle sightings and snorkeling. Who’d complain about that?